If you are on Medicare, you will get a Medicare Summary Notice if you have used any benefits during the quarter. This document is most similar to the EOB, or “Explanation of Benefits” that people who are on a group or individual insurance plan get. However, the Medicare Summary Notice is a little different than the EOB. First of all, the Medicare Summary Notice comes on a quarterly basis, not on a monthly basis like the EOB. You will also not receive a Medicare Summary Notice if you did not receive any benefits during the quarter. Additionally, there are two parts to the Medicare Summary Notice–The Part A Medicare Summary and the Part B Medicare Summary Notice. The Part A Medicare Summary notice gives only a short summary of any hospital overnight stays and also hospice care that you have received during the quarter. It will not provide a breakdown of every charge like the EOB will. Also, if you have had more than one hospital stay within a 60 day period, ti will be included in the same benefit period. The Medicare Summary Notice is not a bill. You will receive a separate bill from your providers. We suggest that you review your Medicare Summary Notice and notate anything that looks suspicious or unusual. 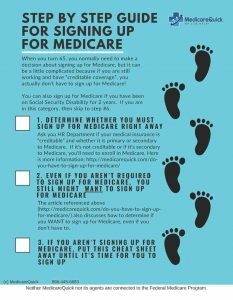 Ask your provider what these items are, and if you do not recieve a good answer, notify Medicare. We can all keep the Medicare program strong by helping prevent waste, fraud, and abuse of the Medicare system.